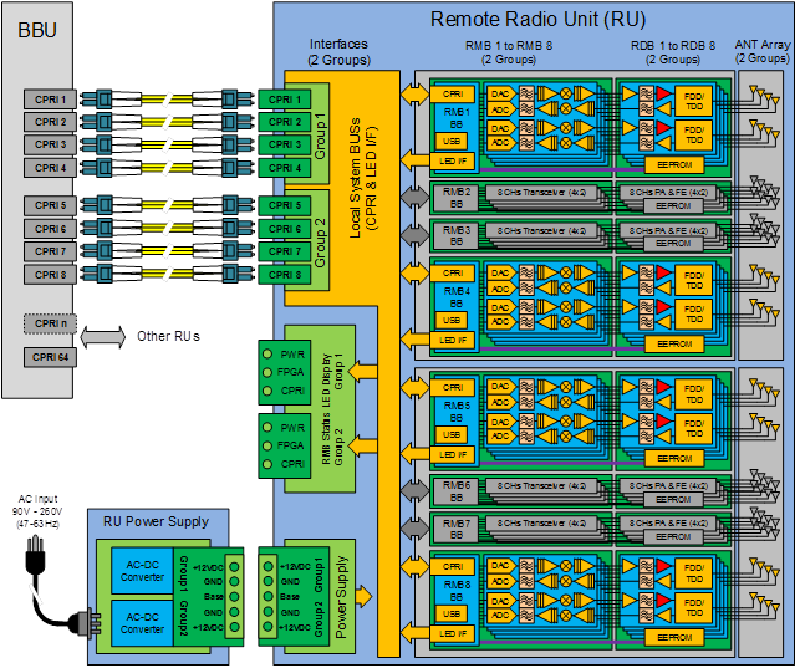 The AVALO-RU64A is a high-performance Remote Radio Unit (RRU) for a Massive MIMO BTS system. It uses 32 AD9361 frequency agile transceivers by Analog Devices. Multiple RRUs can be linked back to a Cloud-RAN (C-RAN) central processing node for distributed massive MIMO. Each RRU includes 64 Tx and 64 Rx RF channels, complete with a cross polarized 64 elements uniform planar antenna array supporting both the LTE TDD band 41 (2.496-2.690GHz) and Wifi 2.4GHz band. The AVALO-RU64A connects to the BBU via eight 9.8304 Gbps CPRI Optical Fiber Interfaces, including clock recovery and synchronization. LTE sensitivity is better than -93.5 dBm for channel BW from 5MHz to 20MHz. For the TX chain, the nominal output level is +18dBm ± 2dB for each channel, the LTE EVM is better than 3.5%, the LTE ACLR greater than 47dBc, and the channel isolation better than 50dB. The Software Defined Radio (SDR) array within the AVALO-RU64A supports both FDD and TDD operation, and RF bands from 450MHz to 6GHz. To use the RU for in frequency bands other than that supported by the current RF frontend and antenna array will require a custom designed RF frontend and antenna array. 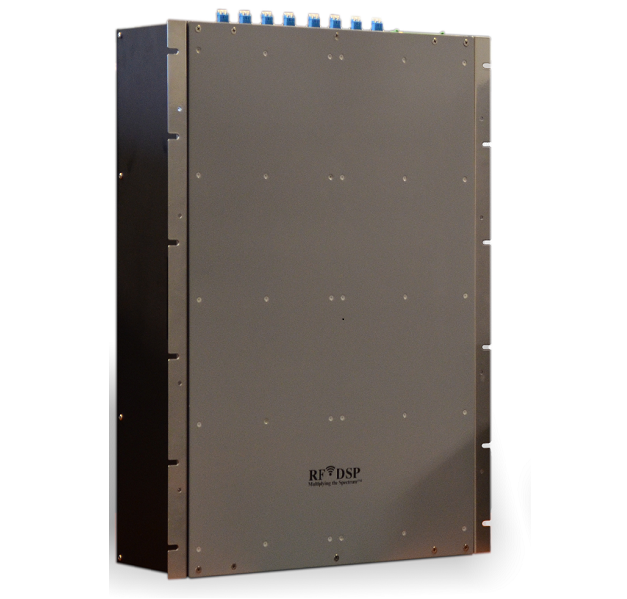 We provide the service to custom design and manufacture custom RF frontends and antenna arrays to meet customer requirements. The RU includes two power supplies, each is 90-260VAC input and +12VDC output with max current rating of 50A.